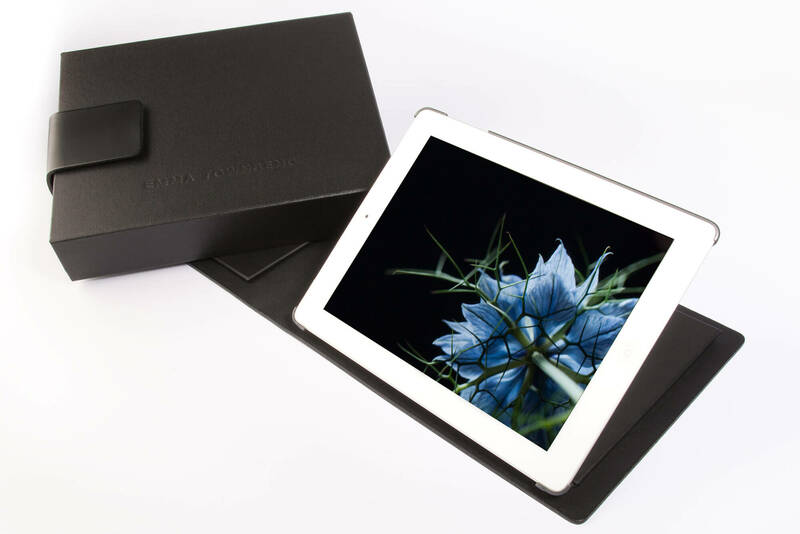 Our leather iPad folio can be designed for any model, creating an impressive display for a range of presentation purposes. 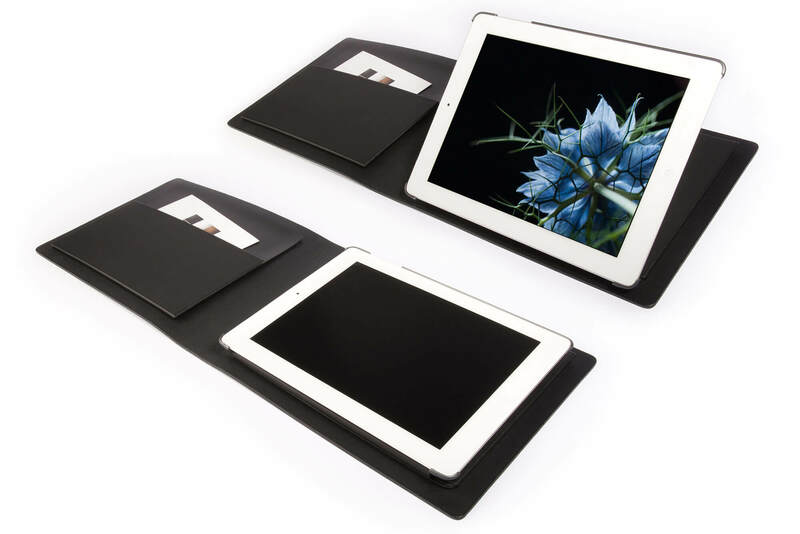 We’ve made the folio easily removable in order to utilise the iPad’s extra features. 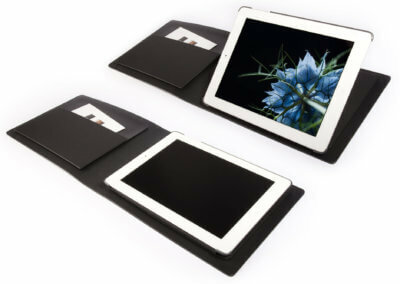 The folio includes a prop for the iPad providing a comfortable viewing angle on a flat surface. There is a pocket for A5 cards on the inside cover. Other adjustments can be made on request. 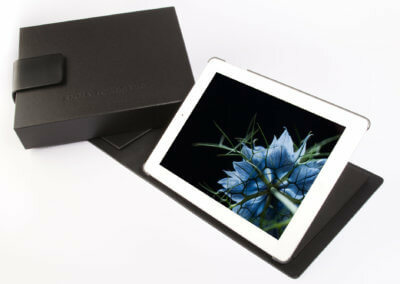 Our iPad folios are available in all of our standard colours. 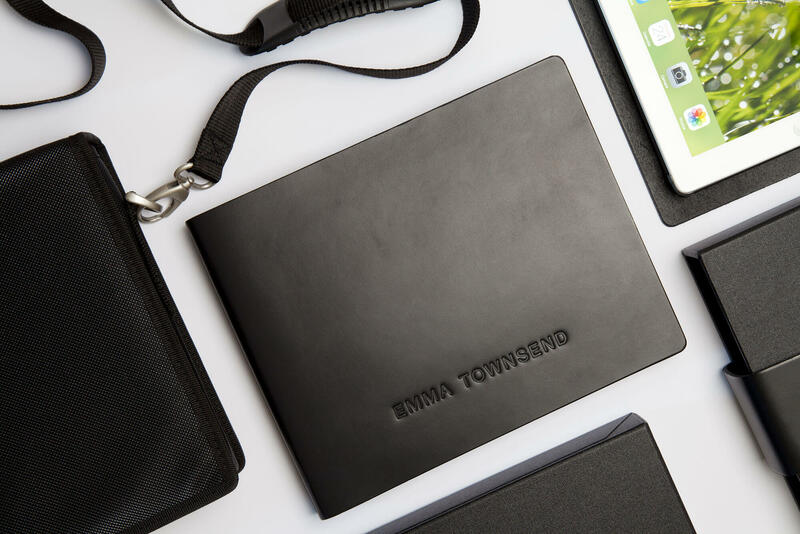 As will all our products, a name or logo of your design can be debossed into the covers. Alternatively one of our standard house fonts – Times or Helvetica – can be used. 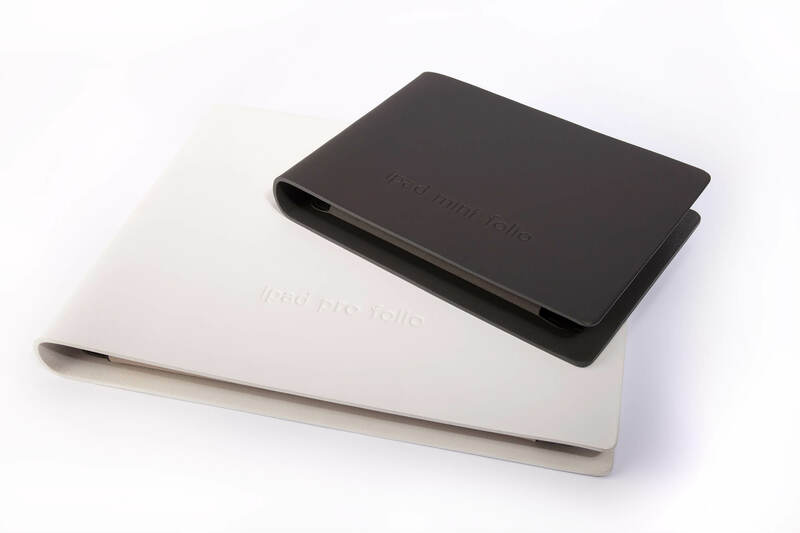 We can provide custom made slipcases and bike bags for the folios. Please get in touch with us to discuss your requirements.